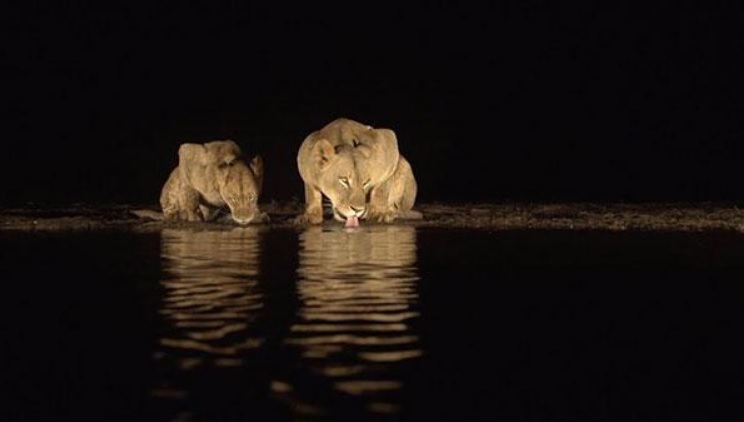 Caught on Tape: Mesmerizing Footage of Lions Drinking at Night – FIREPAW, Inc.
Haygarth, who runs wildlife safari photo workshops, waited patiently in a concealed blind from 2pm until 5am to capture this rare footage of the thirsty lions. As you can hear in the video, he’s snapping off quite a few still photos as well. Instead of a flash, which would have likely scared the animals away, Haygarth used LED spotlights to illuminate the scene so he could capture these magnificent creatures and their crisp reflections in the water. The video first appeared on the Caters Clips YouTube channel.